Welcome to our Kona Condo Vacation Rental! Our Condo in Kona will make you feel at home, that's for sure - The Casa de Emdeko is a vacation rental located in Kona offering stunning oceanfront view and accommodations for up to 5 people comfortably. 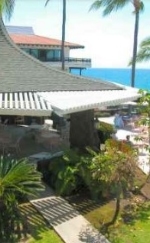 Our Kona Condo is located on Alii Drive, in Kailua-Kona on the "Big Island" of Hawaii. The "Casa", as it is referred to, is a beautiful condominium complex on the ocean, within walking distance of the downtown "Kona" area. Wake up to an impressive ocean view before you go golfing, swimming, laying on the beach, snorkeling, scuba diving, deep sea fishing. People who travel to the Big Island Hawaii often return to discover new exciting places. This second floor, non-smoking condo is within a stone’s throw of the ocean. The complex is built in such a manner as to afford an exceptional view of the Pacific Ocean. Sliding glass doors lead from the living room to a lanai (patio). The lanai has a small round table and two chairs for comfortable dining and lounging. There are two wonderful swimming pools. The salt water pool overlooks the ocean and is surrounded by lava rock. The fresh water pool sits on the inland side of the Cabana. Tropical plants and flowers are abundant throughout the complex, making a walk through the grounds a truly beautiful experience. There are chaise lounges and chairs in both pool areas and on the sandy tanning beach, which is right next to the sea wall. For your convenience, there are restrooms for the Casa guests in the Cabana area. The covered Cabana area has several tables and chairs where you can read, play cards, visit, or just relax. The Casa has provided three new gas grills near the Cabana where you can cook your freshly caught ocean fish, or whatever you choose. A favorite Casa tradition is gathering in the Cabana and beach area to watch the evening sunset while sipping on a favorite beverage. At night the tiki torches are lit and this is a nice place to enjoy the ocean view. The condominium living room has new carpet, sofa, and a queen size futon couch. Cable television and a DVD/VCR player are provided along with a portable CD player and radio. Two phones are available for use in the unit and faxes can be sent and received at the condo front office. The kitchen has been completely remodeled, with all new cabinets, granite counters, new appliances, etc. It is fully equipped (pots and pans, dishes, silverware, etc. 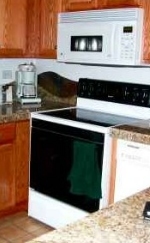 ), including a microwave oven, ice-maker, and a coffee-maker. Travel Far, Feel At Home! This is a one bedroom unit, newly carpeted with a queen size bed. The bathroom recently received a face lift, with new paint and a roomy shower. All of the condo walls have new paint, so the entire condo has a fresh and sparkly-clean feeling. 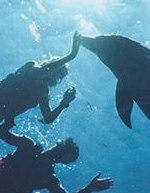 The Dolphin Quest is just one of many attractions. 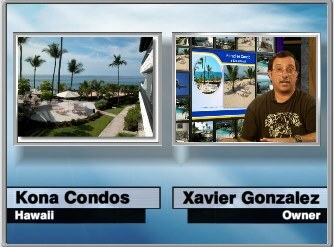 If you have any other questions about the condo or about the Big Island, please feel free to ask! We think the Big Island is a great place with endless amounts of interesting things to see and do (terrific snorkeling and golf courses; great restaurants, Volcano National Park; Hilo; the Kohala Coast, and Waimea). Unit is cleaned before you arrive and after you leave. © KONA CONDO HAWAII KONACONDOSHAWAII.COM 2004-2015. All rights reserved.